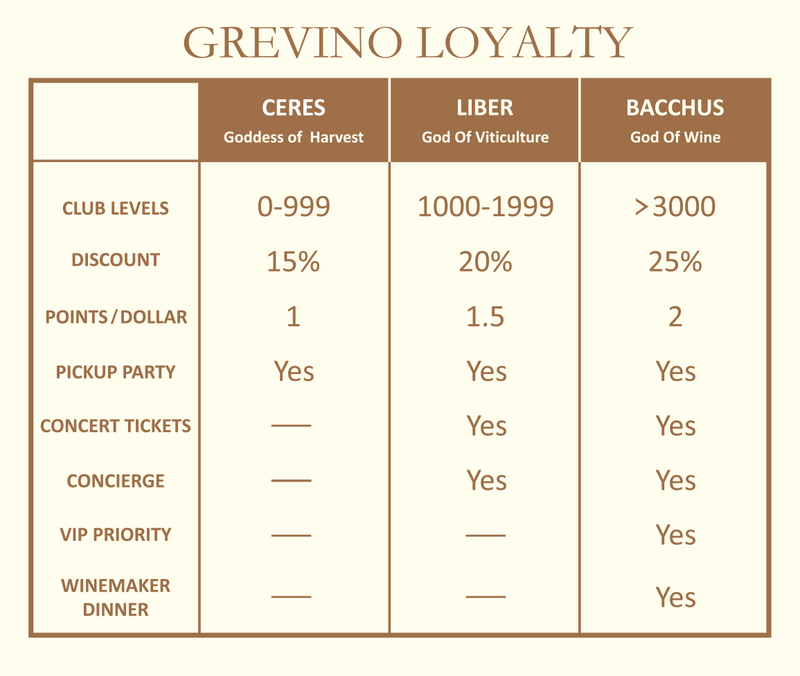 Ca’ Del Grevino invites you to become a member of our exclusive club of wine enthusiasts and wine lovers. We are offering our loyal customers access to our new release wines before sale to the general market. 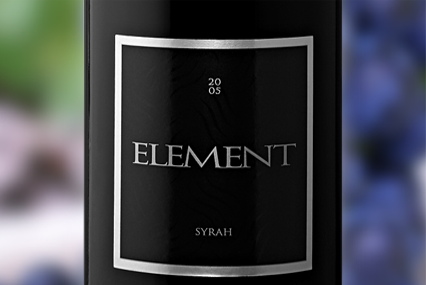 For any questions, please contact our Wine Club Concierge here. Download our Wine Club brochure here. Club Member Exclusive Offer! Join Us Now! Earn Loyalty Points: Members will earn points for every purchase at any of our locations. Points are redeemable for wine, food, concert tickets, merchandise and more. Starting on February 18, every dollar you spend at any Ca’ Del Grevino location or event will be converted into points. Wine Shipments: Each wine club receives 4 shipments of 3 bottles per year: Fall, Winter, Spring and Summer. 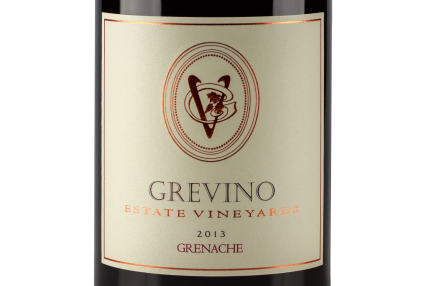 Wine Tastings: Element and Rosso members receive 1 complimentary wine tasting flight (for the member only), Grevino members receive 2 complimentary wine tasting flights (for the member and a guest) per visit at our tasting room locations. 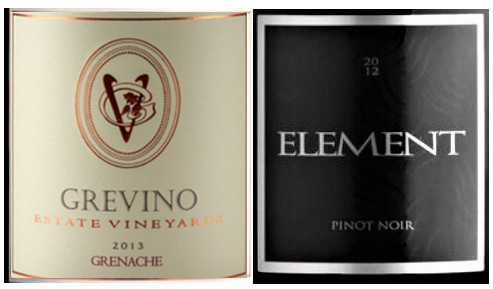 Shipping: $10 for Element and Rosso members, free for Grevino members. New members commit for one year and are eligible to cancel their membership within one month prior to the end of their first year.